In a dystopic world, a teenage girl with telepathic abilities hides her gifts knowing that she will be killed if they are discovered. When the government finally uncovers her powers, she is forced to go on the run. When she bumps into another group of kids who also have unique abilities, they lean on each other to stay alive. 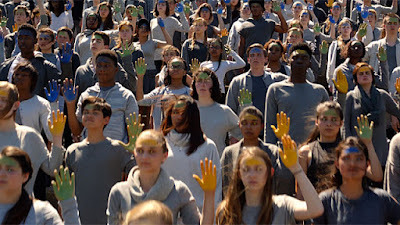 If you like the X-Men movies but wish they had more cheesy young adult romance added to them, "The Darkest Minds" may be the movie for you. This is the first live-action film directed by Jennifer Yuh Nelson, who prior to this directed the animated features "Kung Fu Panda 2" and "Kung Fu Panda 3," as well as several episodes of the "Spawn" animated series. The screenplay is written by Chad Hodge and is his first feature film, though he has many television writing credits on shows like "Wayward Pines" and "Good Behavior." The story is adapted from the first book in a series of young adult novels by Alexandra Bracken. When an epidemic infects the world's youth population, many kids are left dead. Those who survive develop super-human abilities. Fearing the power these children have, the government rounds them all up and puts them into concentration camps where they are color-coded and sorted by their ability. The most powerful and rare of these groups, reds and oranges, are killed instantly upon discovery. When a young "orange" named Ruby (Amandla Stenberg) is brought to a camp, she uses her powers to convince her captors that she is the safest level, green. After numerous years working in the camp, her abilities are finally uncovered, and she is forced to escape and go on the run. While running, she meets a small group of kids including Zu (Miya Cech), Chubs (Skylan Brooks), and Liam ("Beach Rats" breakout star Harris Dickinson) who are also fleeing for their lives and are in search of a secret commune of kids where they can live in safety. 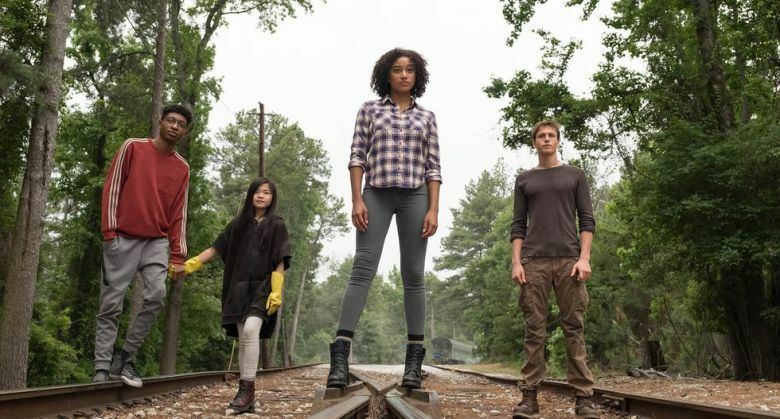 We're not going to lie...we weren't really looking forward to "The Darkest Minds" since we're not in the "14-year-old girl" target demographic. The trailer never really gripped us, and from what was shown in it, this film looked like it was going to be too derivative, a mere carbon copy of numerous existing properties that came before it. Plus, the young adult book-to-movie genre has all but dried up in the last few years. Now that we have seen this movie, our fears have been confirmed. It is extremely imitative from other books and films, so much so that there are scenes and lines directly ripped from other works, including but not limited to "Star Wars," "X-Men," "The Hunger Games," "Divergent," and many more. There is a lot going on in this story that requires mountains of set-up and very universe-specific jargon, most of which is delivered through exposition. We have to be told about the color-coded system in specific detail, and we need to know about how greens are hyper-intelligent, blues have telekinetic abilities, golds shoot electricity from their hands, and oranges are telepathic and can control thoughts. Exposition is given heavily at multiple points throughout the film, and it never comes off as natural. 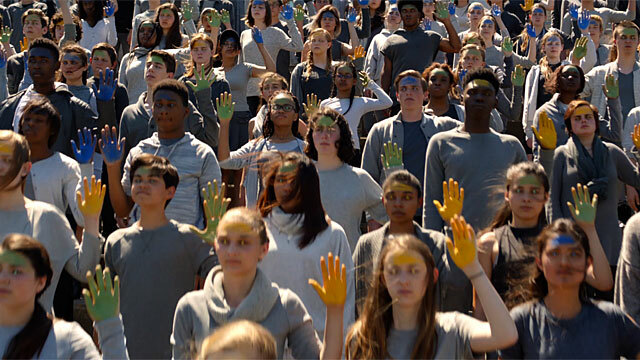 That being, there are some things to like about "The Darkest Minds." Amandla Stenberg and Harris Dickinson are both extremely talented young actors. Despite the story being forced, they manage to have good chemistry together. We can't wait to see what each of them does next, and hopefully, it's better than this. There are several entertaining action sequences and a few tense moments full of heavy destruction and excellent effects. These mostly happen at the beginning and end of the movie. The stuff left in the middle, however, is a cheesy teen melodramatic romance that is a total slog. Most of the second act feels like it is filler and isn't even necessary for the overall narrative. 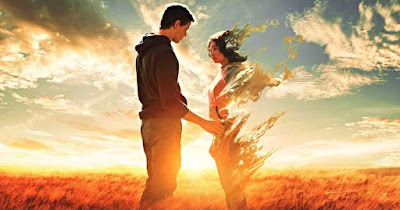 Lastly, the ending falls into the same bad habit that has plagued so many other genre films like it ("Allegiant," "The 5th Wave," "The Mortal Instruments: City of Bones"). This movie ends with a cliffhanger in such a way that it makes it feel more like the first episode of a television series rather than a self-contained feature-length film. 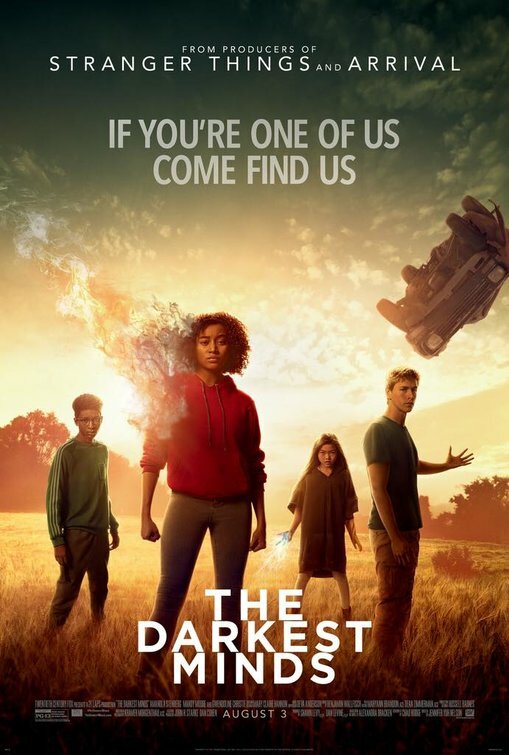 This may work for established franchises that are guaranteed to get a sequel, but with "The Darkest Minds," it's probably not going to happen. Despite some well-made action sequences and great looking special effects, "The Darkest Minds" leaves audiences with only one piece of this story, and that piece of the puzzle is pretty damn dry and bland. We don't think kids in the target demographic will even dig this one. Watched the trailer just the other day. Hadn't realized this movie even existed. I wish I had never seen the trailer. Looks so generic. As the kids would say, "This movie is basic."